Chung Lao: Pastor B, how are you? Pastor B: I’m doing great. Excited about being involved in ministry that makes an external difference. Chung Lao: Tell us about your church. Pastor B: Calvary is an Assemblies of God church located in Union, NJ. It has an 86 year history starting all the way back in Irvington, NJ as a small Bible study group. Today it is a multi-cultural church running two services on a Sunday morning, and runs several very strong children’s programs. Chung Lao: Where were you born & tell us a little about your family. Pastor B: I was born in Lancaster, PA, my wife was born in Storm Lake, Iowa. We have been married for 30 years and have 7 children. 5 biologically and 2 by adoption. They range in ages from 9 years old to 28 years old. We now have 2 grandchildren. Chung Lao: Where were you a missionary in India, and what was your ministry there? Pastor B: During the 1980’s I felt God moving on my heart to leave secular work and we applied to the Assemblies of God for foreign missions work. An opportunity opened up in South India at an international school. We spent five years there working with the school and at the same time establishing a church in the local area. Pastor B: I like the modern set-up. How about more Flash integrated into it? Chung Lao: What was your initial reaction to the aftermath of Hurricane Katrina? Pastor B: Like most we wanted to know what we could do to help. As a church we set a Sunday to take a special sacrificial offering to help – then we hooked up with another Assemblies of God church to let people go down and help out first hand. Chung Lao: Many people are asking the question, why would a loving God allow such death and devastation. What are your words for such people? Pastor B: Not every question has an easy answer. The people who believe in a loving God will believe that God will work all things together for our good. The people who don’t believe in God won’t be satisfied with any answer that you give them. Chung Lao: If you were forced to evacuate your home and told never to return and you had 10 minutes to pack your most prized/valued possessions in one standard size box what would you pack? It could be only one thing or as much as you could fit. Tell us what is in this box. Pastor B: Assuming I could get another Bible somewhere else – I’d take the family pictures and important financial records. Chung Lao: Thoughts on George W. Bush? Pastor B: The Bible gives us a clear mandate to honor our leaders and pray for them. Every single day I bring George Bush’s name before God. I appreciate his love for God and his desire to serve God. Pastor B: I admire faithful Christians. I watch people in our church who come and faithfully show up every time we open the doors. They work hard at providing a place where people can come and find Christ and grow in Christ. A church like ours thrives because of great faithful men and women. Without them we’d be just another struggling church. Chung Lao: Describe some of your hobbies. Pastor B: I really like classic cars. 1950’s. 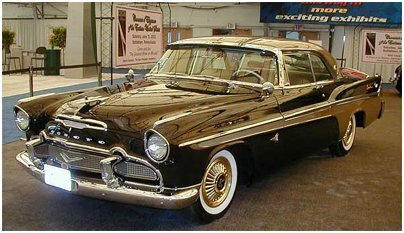 Currently I own a 1956 Desoto. Chung Lao: Football fan, Pastor B? Pastor B: I played football when I was a kid. I love to watch it on TV however my life is so busy that I don’t follow it very closely. Chung Lao: What were you doing 10 years ago? 5 years ago? 1 year ago, and yesterday? Pastor B: I have been pastoring this church for 17 years. Life comes and goes. My calling is to be faithful in this work – so for all 17 of those years I have been being a faithful pastor. Yesterday – I did a funeral for a lady who found out she had cancer in June and died in October. Chung Lao: What is something that grieves you're heart about humanity? Pastor B: I struggle with those that have not learned to properly honor authority. Usually they are the same people that want to be in authority yet haven’t learned to first follow. Chung Lao: Pastor B, please list 3 experiences that have greatly affected your life? 1.) Meeting my future wife who lead me to Christ and then later marrying her. 2.) Being encouraged by a visiting pastor to continue in my studies towards the ministry. 3.) Coming home from India and becoming Pastor our the church I currently pastor. Chung Lao: What is your specialty in the kitchen? Chung Lao: IPF intelligence has come across a document stating that you once owned a goose. Please verify this statement and expound. Pastor B: Not me! But my youngest daughter loves animals and is always taking in a new born something from her grandfather’s farm. Once there was a goose. Chung Lao: What verse would you recommend for young people trying to find what God’s will in their life is? Chung Lao: Define the ideal church, even if it’s not realistic. Pastor B: A church that people are willing to work at unity in love with each other. They know the meaning of faithfulness and do more than say they love Jesus – they love Jesus by serving. Likewise they know how to be loyal and honoring to each other and their leadership. Chung Lao: If you could change one thing about yourself, what would it be? Pastor B: There are two kinds of changes. The first would be wishing away something that God put into my life. I shouldn’t do that. But the second would be seeking to change what God has given me power and authority to change. I could write a book on that. I suppose I’d start with a greater prayer life. Chung Lao: Do you feel we are living in the End Times? Pastor B: Yes – The Bible points that way – and the signs of the time point that way. Chung Lao: What version of the Bible do you recommend? Pastor B: For the longest time I used NIV but the past couple of years I have been using the New King James Version. Somehow I get more out of it after reading a passage. Chung Lao: Speaking of the End Times, do you feel that the hugely popular “Left Behind” series had too many fictitious elements to it, or did you find it to be mostly accurate? Pastor B: I haven’t followed it real closely so I would have to say that I don’t have enough info to answer the question. Chung Lao: Pastor B, in almost all of my interviews, I give my interviewees a scenario to which they must write their way out of. Here goes: It’s a Sunday Afternoon, the service has ended, the congregation has left. As you lock the front door and turn around, you are almost knocked off your feet by what you see. Barney the purple dinosaur is bounding toward you with his arms outstretched. It looks like he wants to give you a hug. What do you do? Pastor B: Instead of the hug I try to talk him into coming to our children’s church and help tell the children about Jesus. Pastor B: I appreciate the opportunity to share. Chung Lao: Thanks Pastor B. Next up on The Tonight Show is Becky Kurikeshu. Don't even think about changing the channel....Much Love.